Hi everyone I'm back again with another Hiding In My Craft Room challenge. This week the challenge is to create a masculine project. A lot of times I struggle doing masculine but I think I succeeded this time. 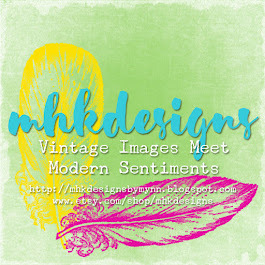 The sponsor this week is MHK designs. The winner will get their choice of three products. MHK graciously provided me with a choice of stamp sets. 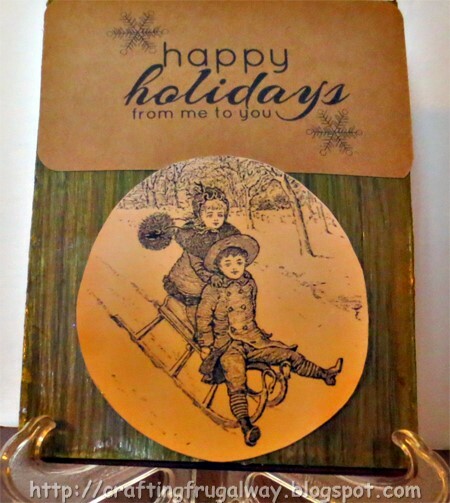 I loved the sentiments and the image with the sled friends set. The image reminds me of all the fun times I went sledding with nephews and later on with my son. My background is done on a piece of recycled cardboard. I tried out DecoArt Weather Wood crackle and it didn't crackle on me. I don't know what I did wrong but after talking to different people I think the paint was too fluid. It did end up though making a nice background. I printed the image out on matte photo paper using my laser printer. As I wasn't sure whether I was going to color with water colors or what I was going to do. Then I used my blending tool with Distress Vintage Photo ink. I decided to try to get the look of the old fashion tintypes. I cut my piece out by hand so my piece ended up being a little wonky. I really need to find my drawing compass. I'm sure it is with the other stuff the borrowers have borrowed. I inserted the sentiment and the snowflakes which come in the set into Word so I could create the custom sentiment. Then printed it on Kraft card. I tried to foil but the snowflakes were too light of a color for the transfer foil to adhere. Also for some reason the foil only wanted to adhere in certain places of the sentiment. Second time I printed it out on my inkjet printer. I printed the image out again with my laser printer to see how it would work as a gesso transfer. I used another sentiment from the stamp set. Details will be on my blog Tuesday. As I write this a cold snap has appeared overnight. With the wind blowing it is even colder. Winter has finally appeared. What a great card. Looks so old fashioned. This has a very vintage feeling. Good use of products as usual.